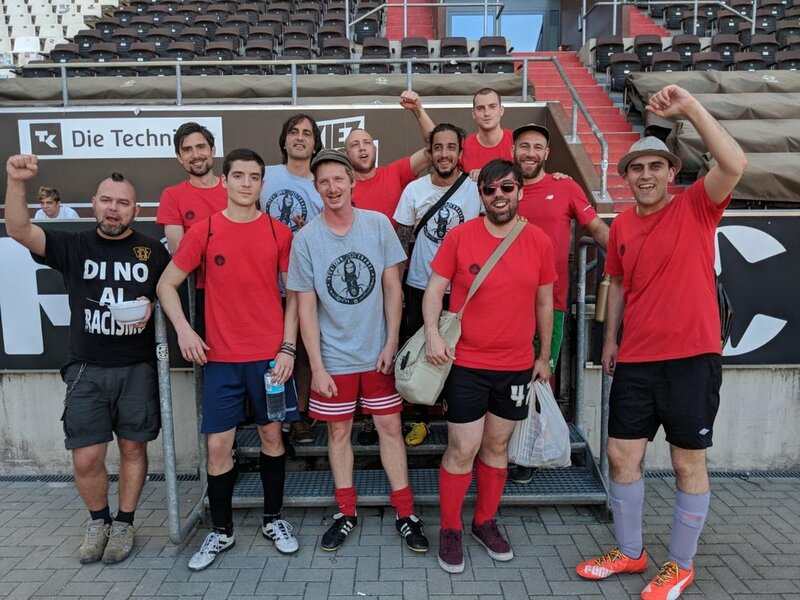 This year's Antira tournament, on the hallowed turf of St. Pauli's Millerntor-Stadion, was a huge success on and off the pitch. 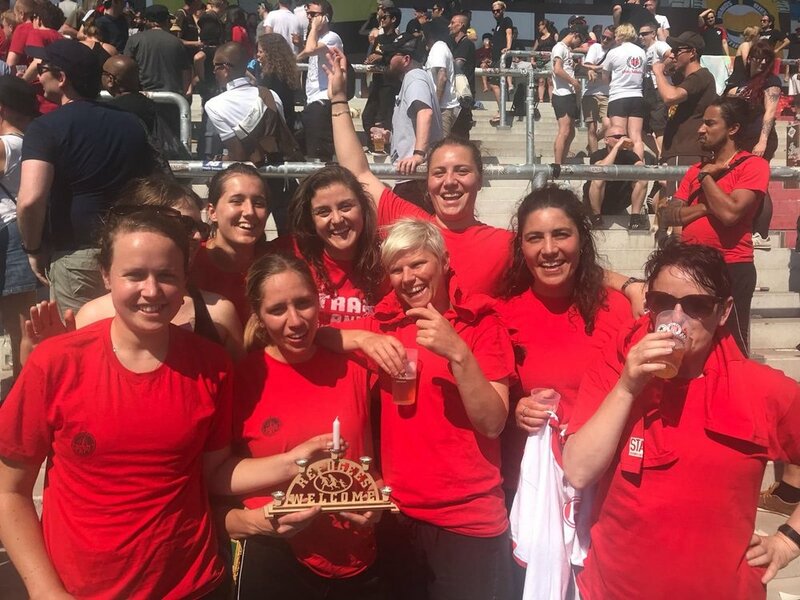 In a weekend that brought together anti-racist football supporters from across the world, Republica won the women's tournament outright while the boys paired up with Swiss comrades Bierkurve to top the second tier. This was the first year that teams from North America were represented at the tournament, and a huge highlight came in a post-tournament mixed friendly with our new friends from Montreal.